Last month saw some fabulous submissions and I'm hoping we will get even more fabulous submissions this month. Let's end this year with a bang, people!!! They have two adorable digis with us to show case. 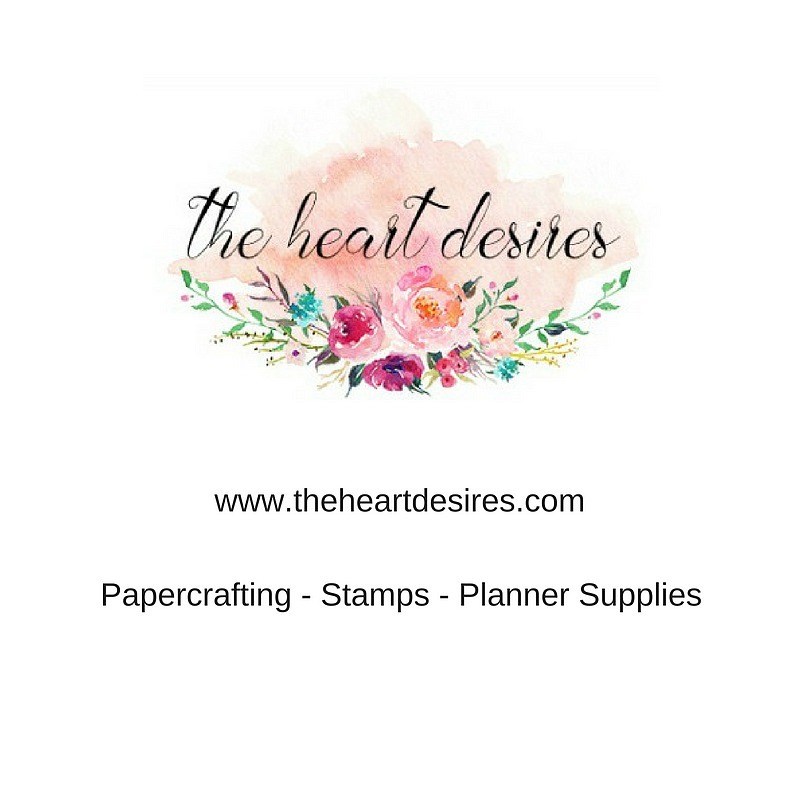 To make the above cards and tags, I printed out the digis onto white card stock and die cut them using the stitched circles and stitched squares dies from Simon Says Stamp. I then coloured another copy of the digi , fussy cut it and paper pieced it on to the die cut base. This way I didn't have to cut around the fiddly bits like the tail or the bow. 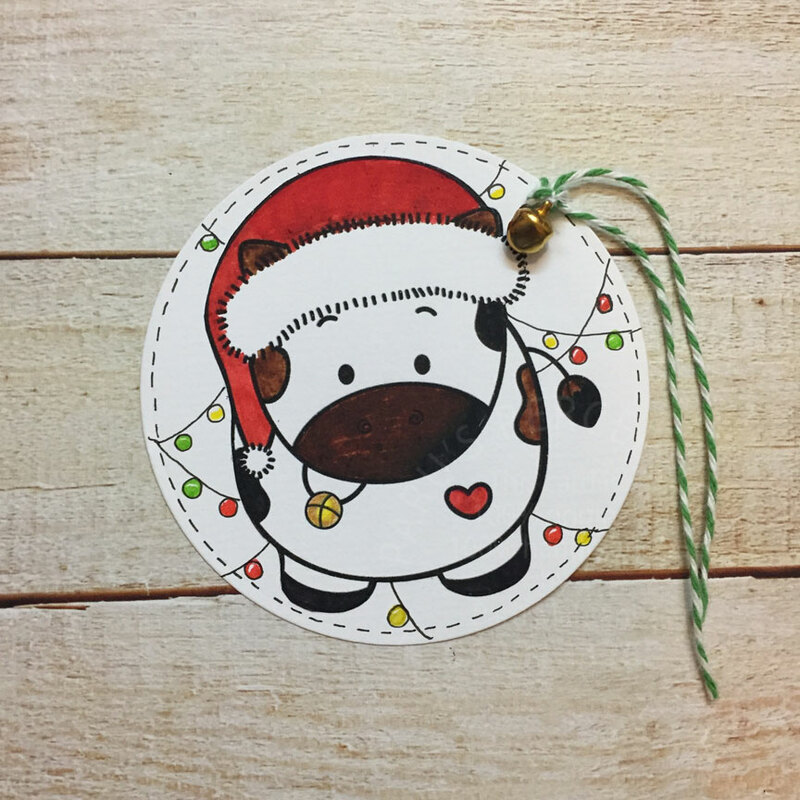 I added hand drawn doodle lights to the background of the cute cow tag to add some interest. 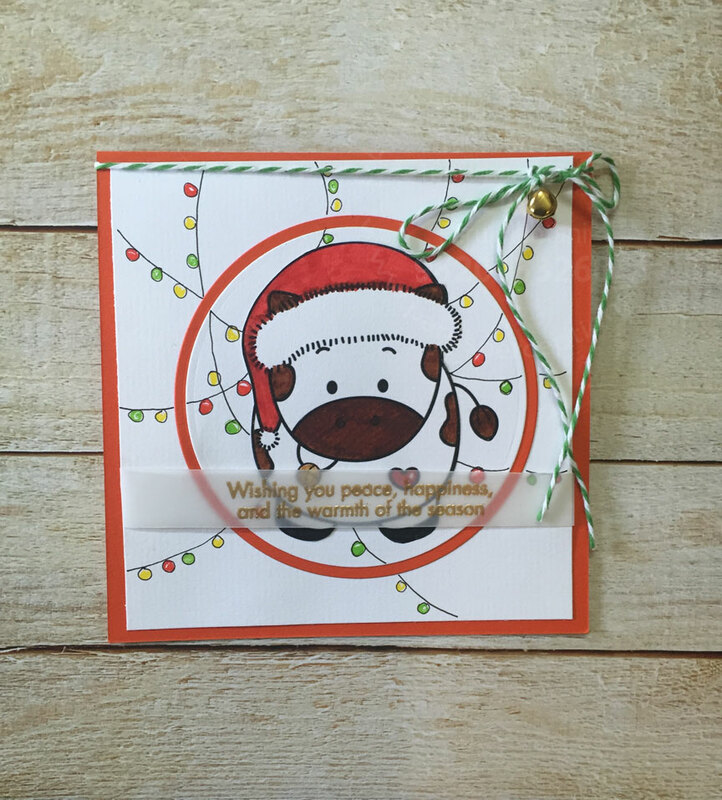 I did the same for the card too and added a red die cut circle to add further interest. 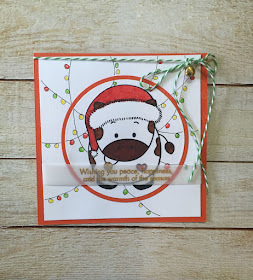 I then added a gold embossed on vellum Christmas sentiment from Hero Arts to card. 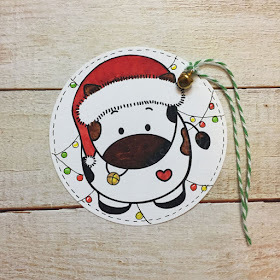 I finished off the tag and card with green and white bakers twine and a little bell for fun. 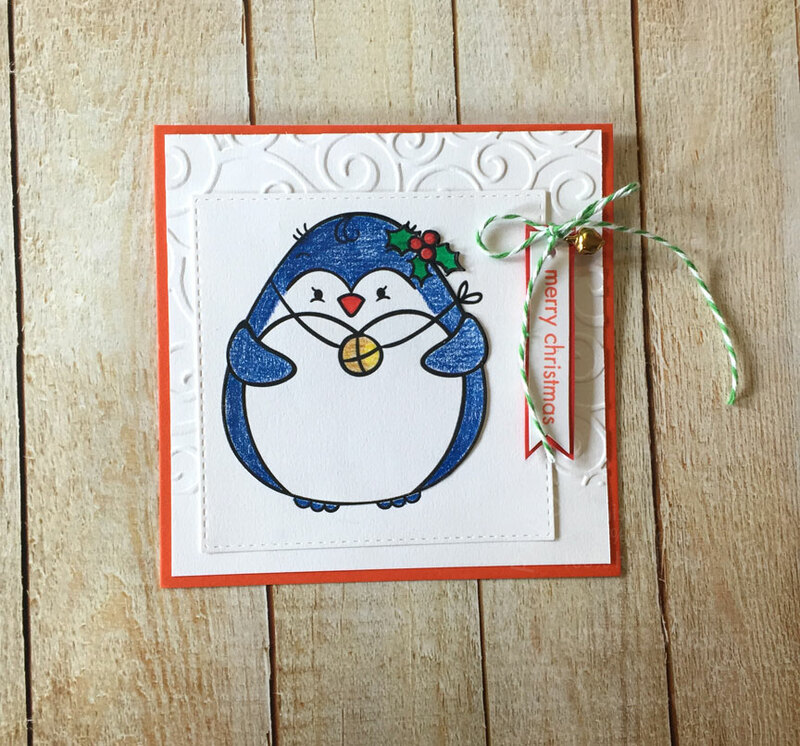 For the adorable penguin card and tag, I added embossed backgrounds, bakers twine and a bell for interest. Here too the sentiment is from Hero Arts. I have been able to keep this challenge blog going for the whole year! 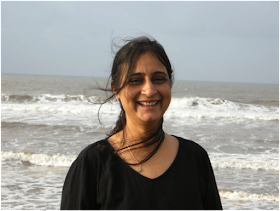 A big THANK YOU Neha! 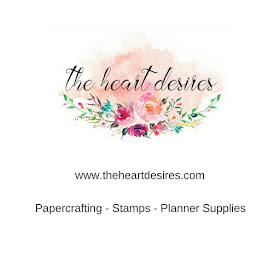 I am excited to be here as Guest DT as this is one of my favourite challenge blog. Kudos to Paru! She is doing amazing job at making the challenges interesting and giving away some fabulous prices every month. 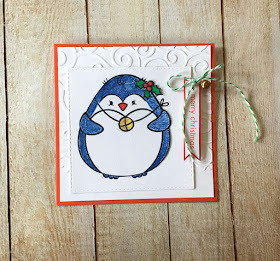 Today, I am sharing a card and a tag made using Kitty bee designs. They are cute holiday themed images which are fun to colour. I printed them on a white Neenah Solar card stock, coloured them with copics. I made the snow dune using Ranger’s sea foam white embossing powder and Martha Stewart white glitter. Back ground snowflakes are embossed in white. 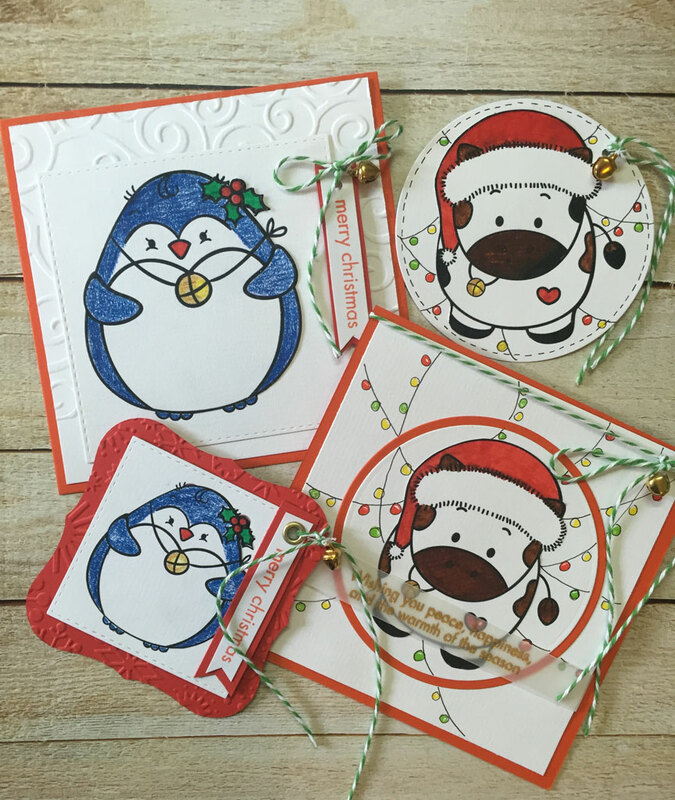 Sentiment and snowflakes are Jane’s Doodles stamps. I fussy cut the roly poly penguin and mounted with 3d foam tape. Here is the close up of glistening snow. 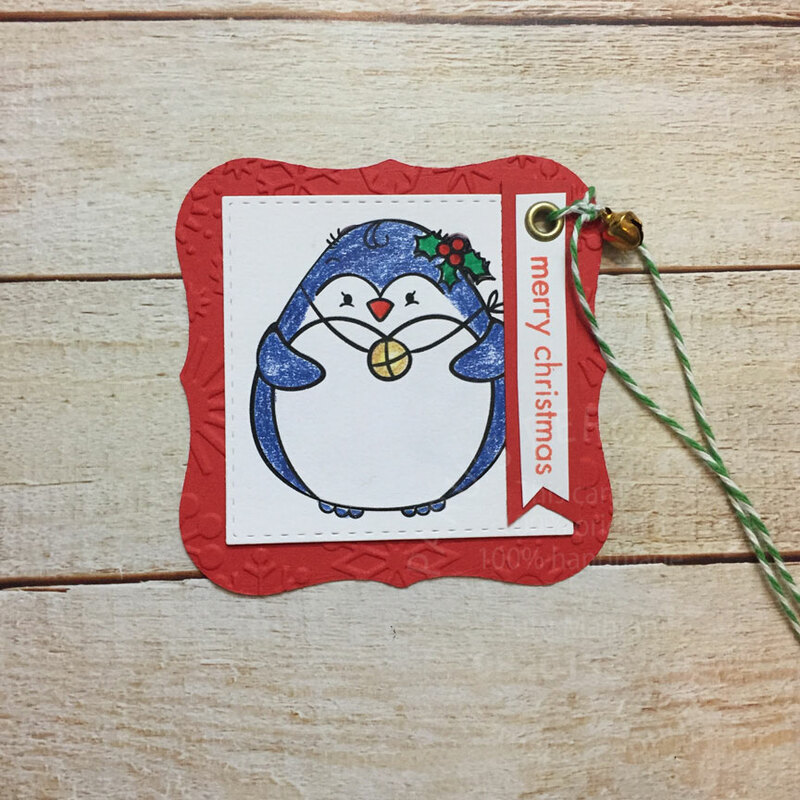 For the tag, I cut image with circle die. Cut the tag for green CS and stencilled some stripes with distress ink. Sentiment is from Paper trey ink . I had fun making these cuties. Give it a try, I am sure you will enjoy it too! Thanks Paru for giving me this opportunity. Big Hug! As always, we have fabulous sponsors lined up for this month. 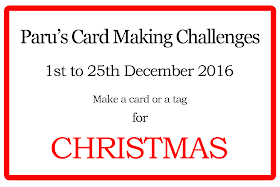 and to join in the challenge! 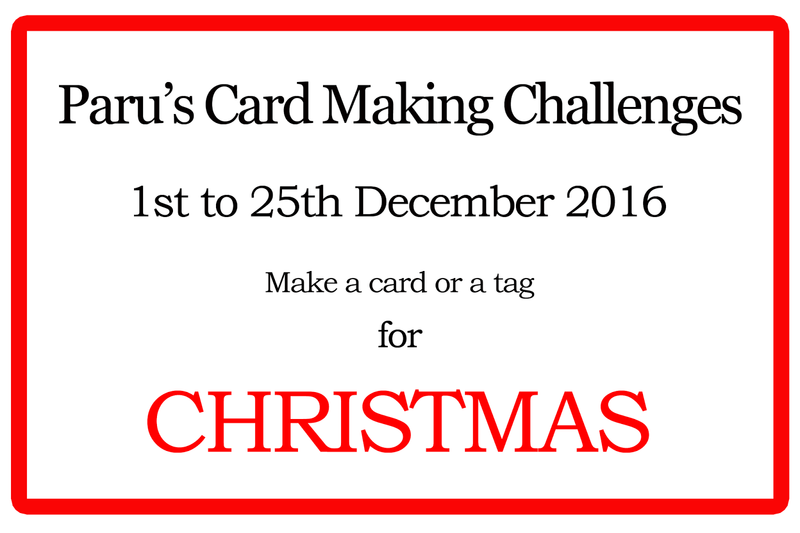 The winner will be announced on the 28th of December, so don't forget to stop by! 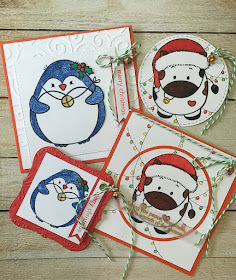 Cute creations :) looking forward to joining in and making some christmassy cards and tags! yay such fun inspiration for the challenge! Your tags are so cute--love the jingle bells!